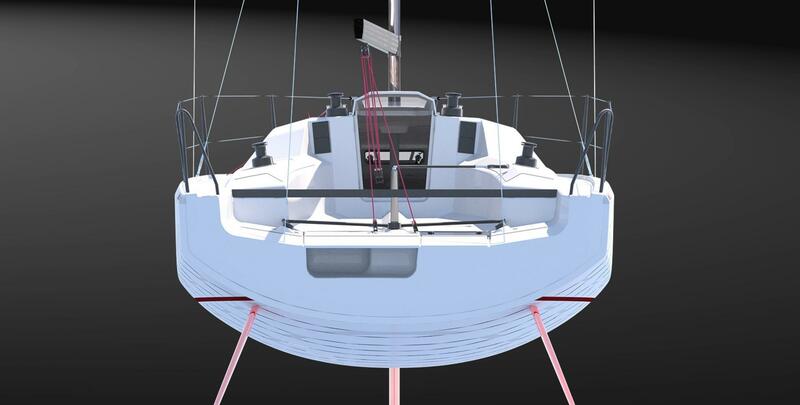 Dehler have released full details of the new Dehler 30 One Design, capable of transforming from potent grand prix racer into laidback cruiser, depending on your needs. When I first heard just over a year ago that Dehler was working on a concept for a 30-foot performance one design boat I was instantly interested. The highly respected German brand is well-known for its solid racing pedigree and turning-out highly engaging designs for people who enjoy the essence of sailing and understand and enjoy getting the best out of their boats. After nine months of intense research, consultation and design we’ve finally seen the full specs of the Dehler 30 OD – and it’s been worth the wait. 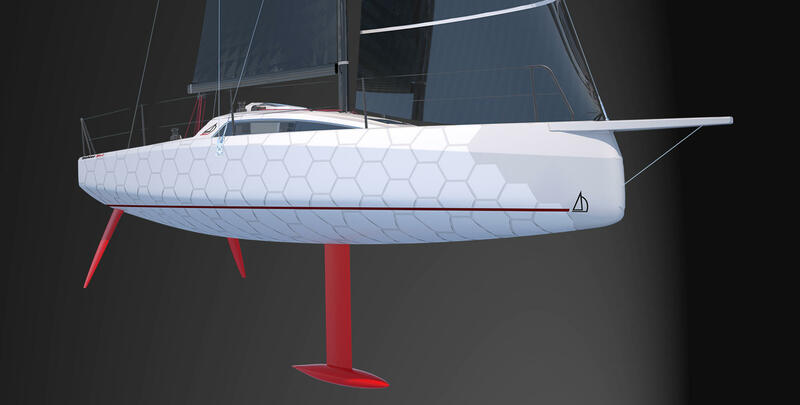 The chamfered bow is reminiscent of Niklas Zennstrom’s FAST40+ Rán VII that dominated the uber-competitive Class 40 in Europe last summer. The chamfer offers reduced windage and panel weight, less hull volume and signifies the 30’s genuine racing aspirations. That’s backed-up by 200 litre water ballast tanks for the owner contemplating the ever-increasing selection of short-handed offshore events in Europe. An aft chine assists with an efficient upwind heeling angle and downwind control when flying the hefty 95 square metre A2 downwind off the purposeful carbon bowsprit. The cockpit layout is set-up for ease of handling and sail manoeuvres, while the mainsheet track is set way aft, with 4:1 and 16:1 trimming settings. A sheer stern completes a powerful but compact hull shape and also houses the life raft in a purpose-built locker quickly accessed by a lid. A sliding dodger with window is a great feature borrowed from VOR big boat experience. 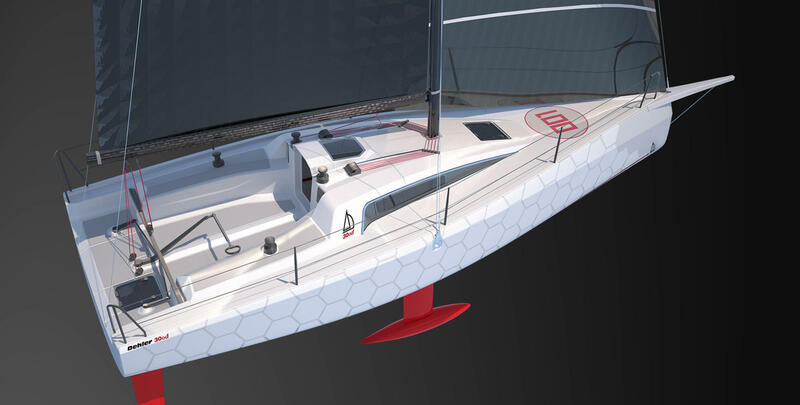 The 9.14 metre hull is vacuum infused e-glass with the latest version of the Dehler Carbon Cage. The Carbon Cage is a lattice of carbon struts making-up an inner grid, and on other Dehler models can provide up to 20 per cent more rigidity, enabling better upwind sailing performance. Below the waterline, the 2.20 metre-deep aluminium T-keel with lead bulb and twin rudders ensures efficiency on the heel and better control in ‘fresh’ off-the-breeze conditions. The rig is a deck-stepped carbon spar, while the boom is aluminium, and there various sail wardrobes available, including a staysail, a must for those longer offshore legs. Below decks, the interior quickly switches from racing to cruising mode: the forepeak sail store becomes a spacious double cabin, while practical storage compartments turn into comfortable saloon benches made of real moulded oak around the table. Two large berths aft, a versatile galley and a separable head complete the list of cruising comforts. Fashionable mesh fabric not only pads the inner hull, but also contributes to a warm, inviting feel that is magnified by the generous volume and brightness afforded by the open bulkheads. The engine compartment is accessible from both aft berths for engine maintenance and checking the seawater intake. The boat also includes Dehler’s ‘Stealth Drive’: a retractable drivetrain, controlled by a lever in the cockpit. It folds away behind a hermetic seal inside the hull when not in use. Where does the Dehler 30 OD fit in the market? You can discern some of that answer by its weight. 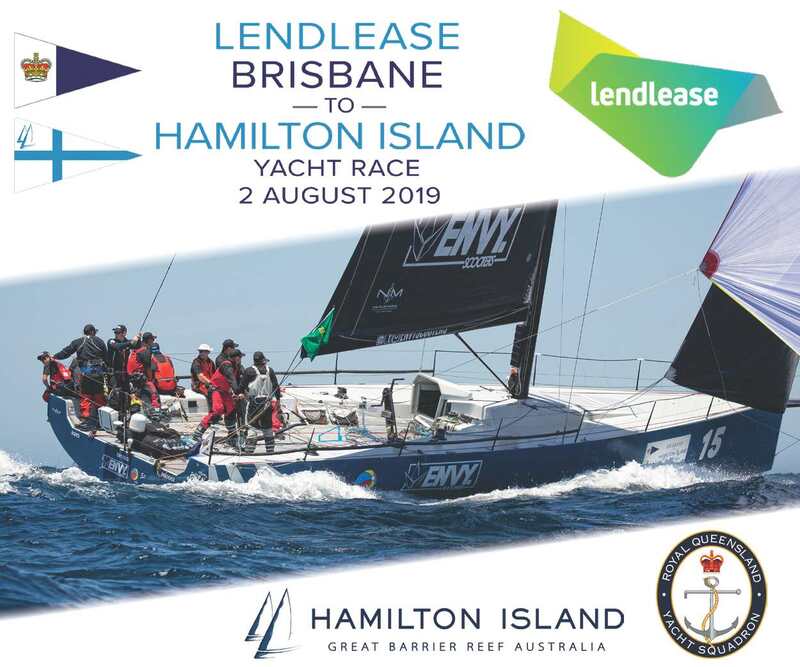 At 2,800 kilograms it’s smack between the L30 at 1,820kg (just announced by World Sailing as supplied equipment for Offshore World Championship from 2020), and Benteau’s very nice new Oceanis 30.1 at 3,995 kilograms, a highly specced cruiser. The Australian dealer for Dehler, Windcraft Yachts, say the 30 OD will be available as a one design, with any potential owner able to configure the rest of the package to their own liking. We’ll reserve our judgement until we sail one, but if it’s performance matches its looks, the 30 OD is destined to be one of Dehler’s most successful designs.